Proceedings of the International Astronomical Union publishes high-quality and timely previews and reviews of fundamental and state-of-the-art astrophysical developments around the world, as presented at some ten IAU-sponsored conferences per year and at the triennial General Assemblies of the IAU. Subjects covered include fundamental astronomy; the sun and heliosphere; planetary systems; stars and variable stars; interstellar matter; the galactic system; galaxies and the Universe; optical and infrared techniques; radio astronomy; and space and high-energy astrophysics. 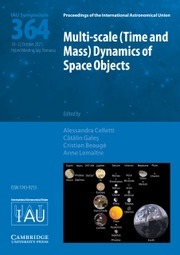 The Proceedings are published under the auspices of the IAU.